If you haven’t been living under a rock recently, you must be familiar with the infamous poop emoji. 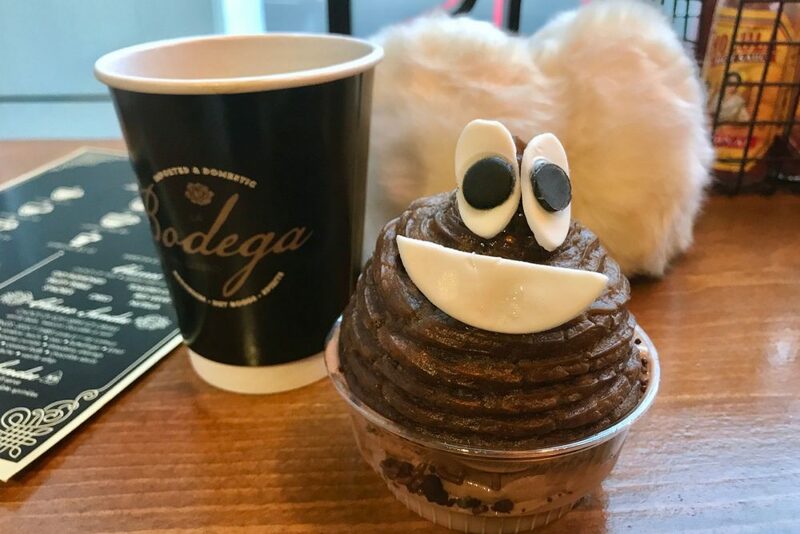 But what you may not know is that La Bodega Del Barrio, a small cafe in River North, has turned that cheerful little brown pile into a cheerful little dessert, coined the “Churrd.” In fact you may have already seen pictures of this guy floating around on the ‘gram or Facebook (pun intended). Bodega is a tiny little space with a row of barstools against the windows and various small goods against the opposite. When I walk in the first thing I see is the glass countertop with rows of beautiful churros sitting underneath. It smells like coffee and pastries. My friend and I each order a Churrd and a coffee. When the Churrds arrive I go into a flurry of picture taking, and I don’t feel guilty about it. Isn’t that what this whole thing is about? If you order a Churrd and don’t post it to Instagram, was it worth it? Did it even really happen? I notice a group of girls behind us giggling; they want one too. Bodega has two stuffed poop emoji plushies sitting on the counter, and I take these and prop them behind the Churrds. So cute! The Churrd is definitely photographable. But now comes the real test...how does it taste? I look over and see my friend has already dug in, cracking a giant hole in the back of his Churrd’s head. “You’re just going to bash his head in? Are you really gonna do him like that?” I demand. “Well how else are you supposed to eat it?” he asks. Hmm...I tap the Churrd’s head lightly with my spoon, but it doesn’t crack. So instead I lift the churro part and start scooping out the ice cream from underneath. It’s topped with sprinkles and kinda looks like brains. My friend rolls his eyes. It’s true. 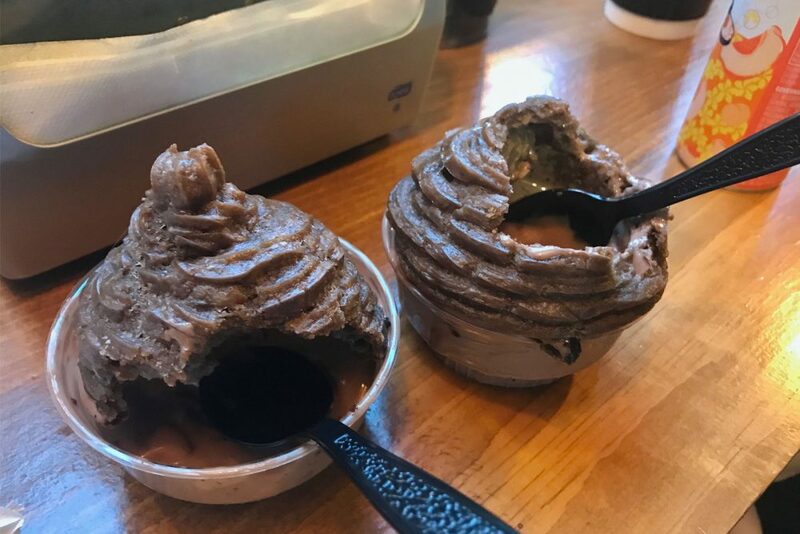 The soft serve is really smooth with a chocolate-cinnamon taste, I like mixing it with the sprinkles and pieces of chocolate cake. (At least I think it’s cake, although it could be cookie or something too.) Seriously, I love how creamy it is. It’s really good, even on a cold day like today. I bite into the churro part. It doesn’t have a super strong chocolate flavor and kind of chewy, but that’s how a churro should be. If the churro had been too sugary this definitely would have been too sweet, but that’s not the case. I like the ice cream more than the churro, but overall it’s pretty tasty. I also really like the sugar eyes/mouth, I try to take my friend’s but he won’t let me. So if you’re looking for a fun snack in River North, the Churrd is a cool option. Just don’t forget to take a picture!